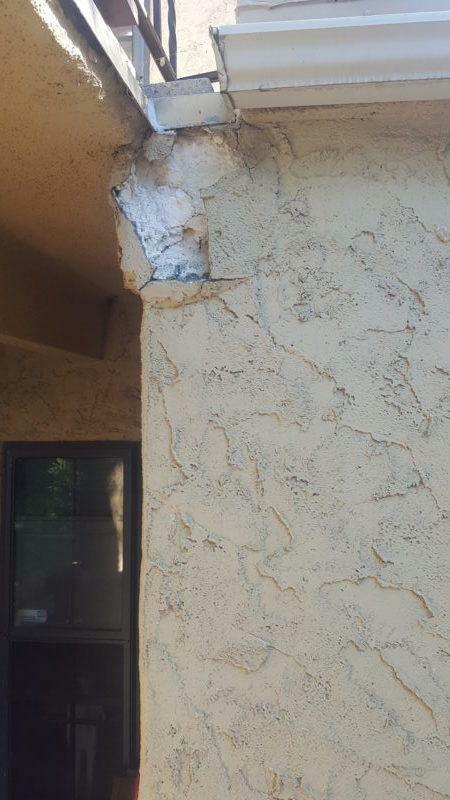 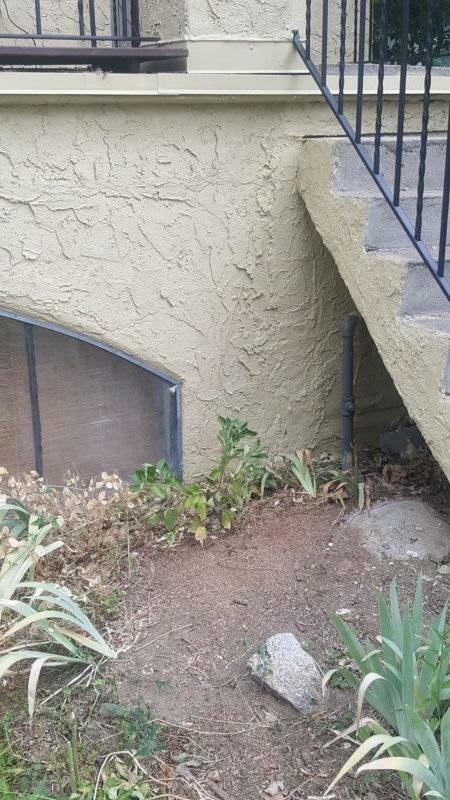 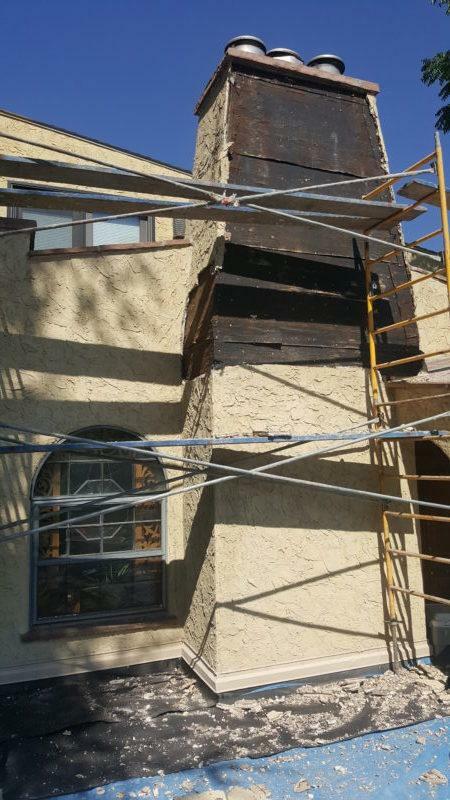 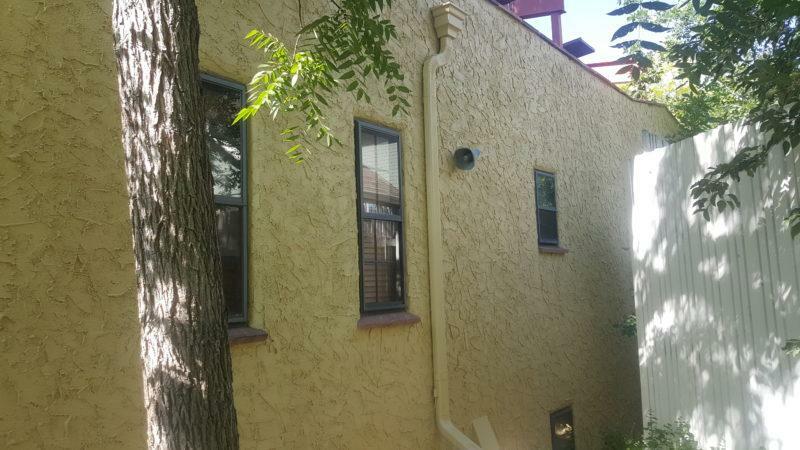 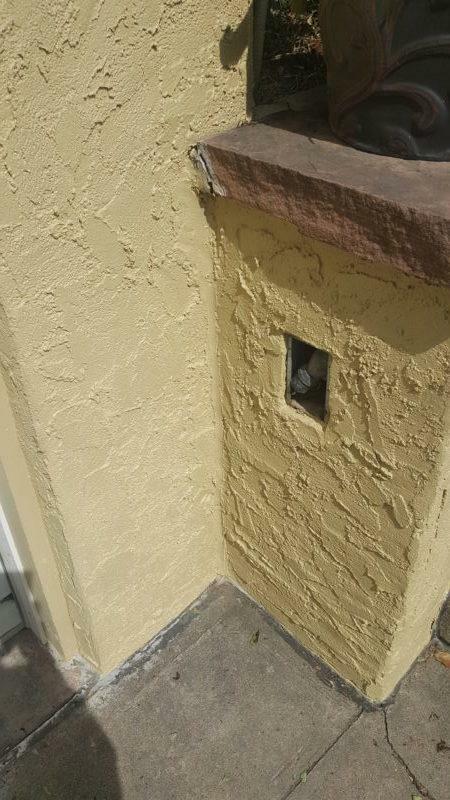 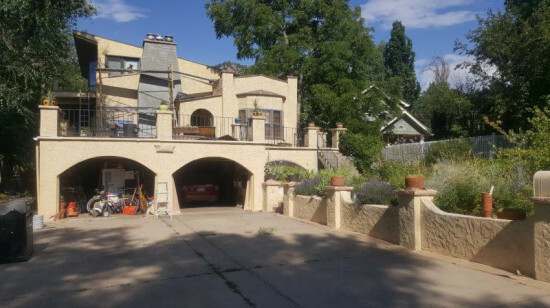 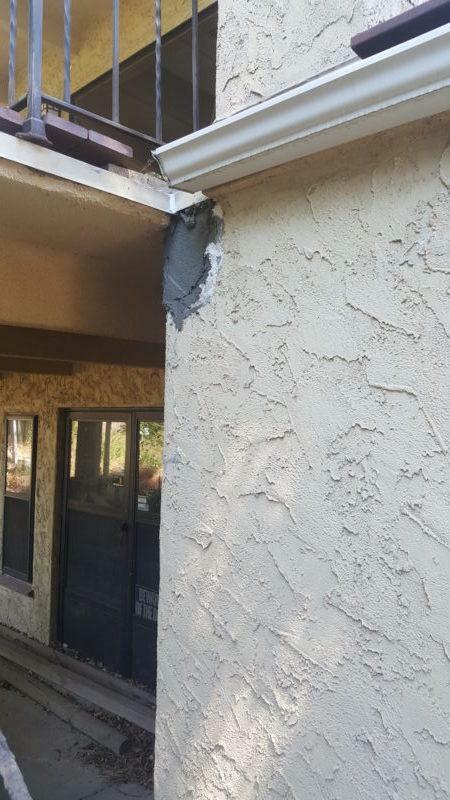 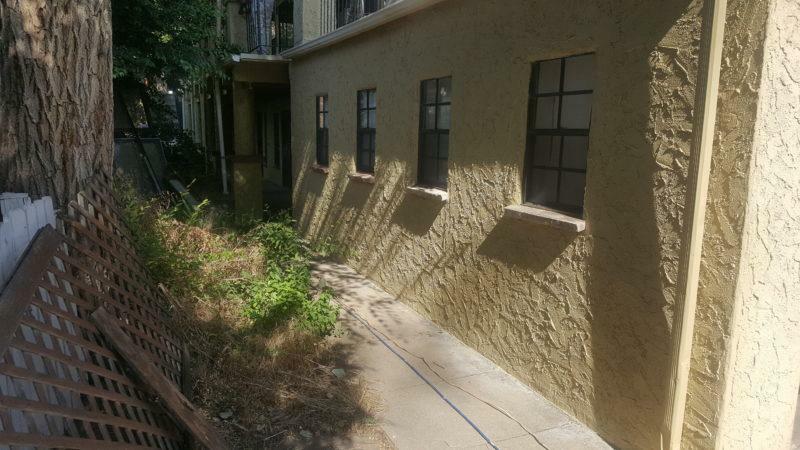 Assessment: This homeowner was thrilled when he found out that LIME could not only coat his home, but could also create an ideal profile on the 50+ year old stucco that needed several stucco patches. 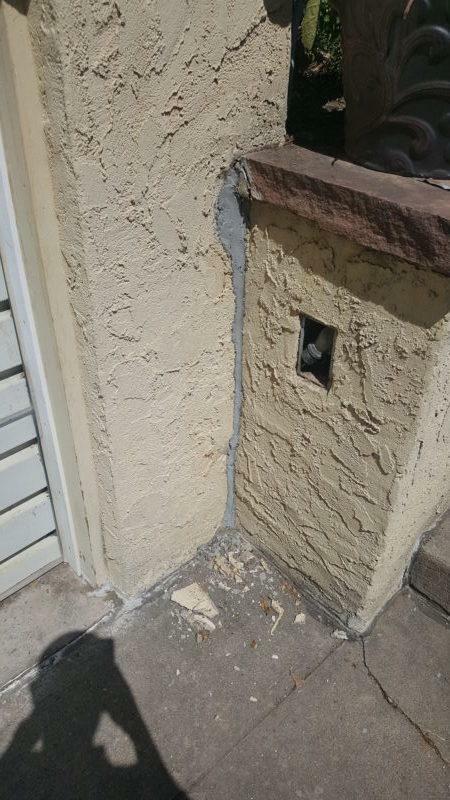 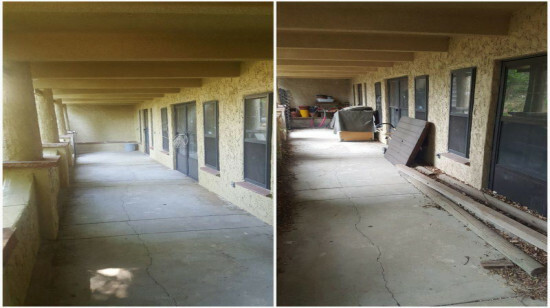 The color on this home had faded and in areas the old paint had begun to peel away. 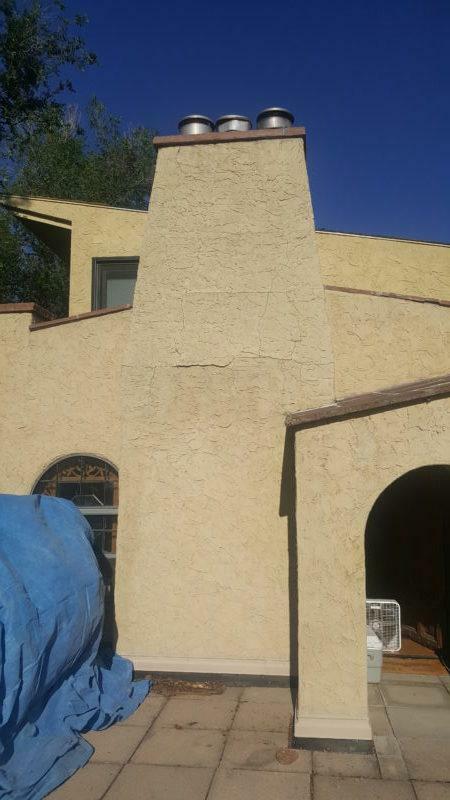 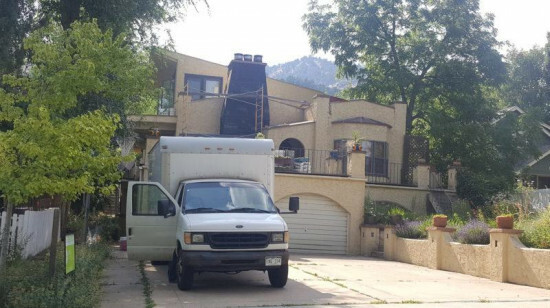 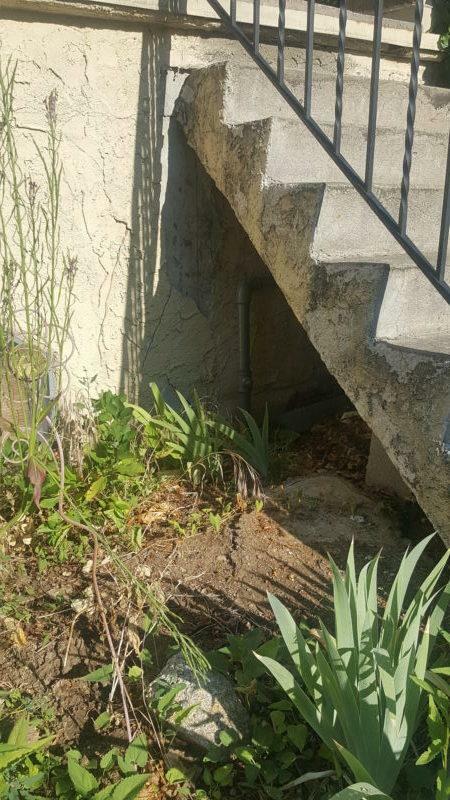 There were also six large areas that had crumbling stucco, as well as a large exterior stucco chimney where the stucco was cracked and buckling. 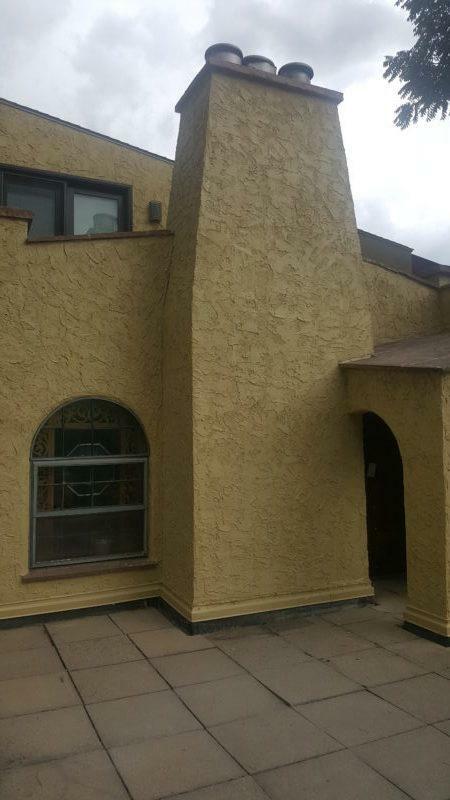 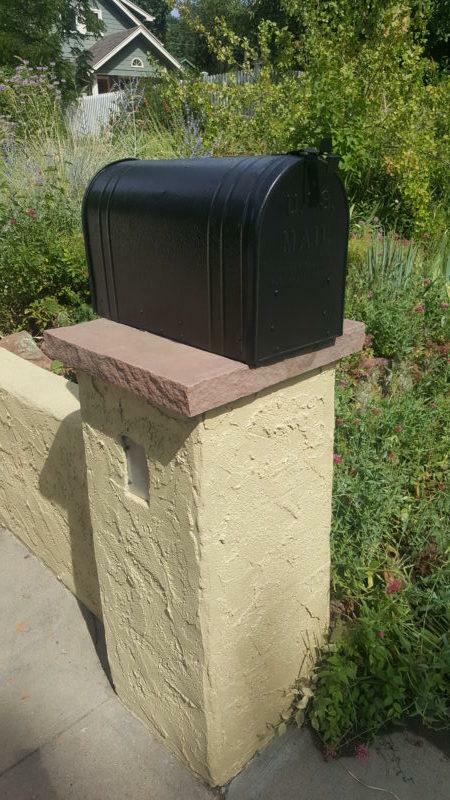 Advice: LIME’s first recommendation was to paint the entirety of the home with the go-to stucco coating Loxon XP to ensure that the aged stucco had not only a new aesthetic but also a water barrier over the top texture coat. 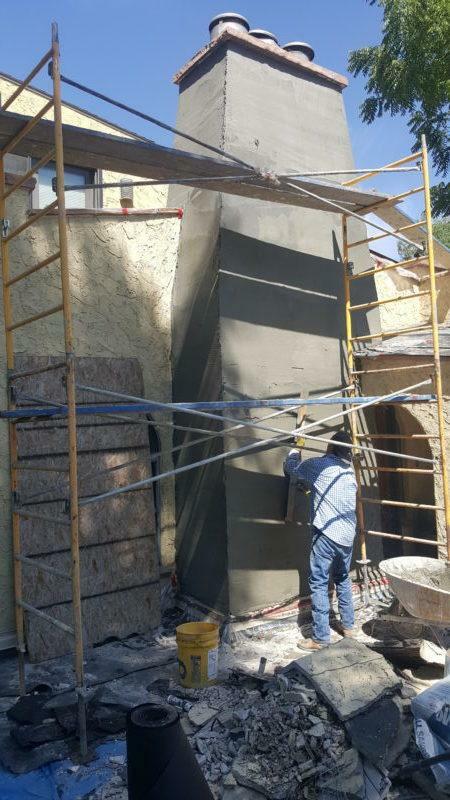 Before LIME would start any coating process, we created six stucco patches and performed a large re-stucco complete with double paper, sutcco mesh, a proper scratch coat, and matching of a very heavy texture. 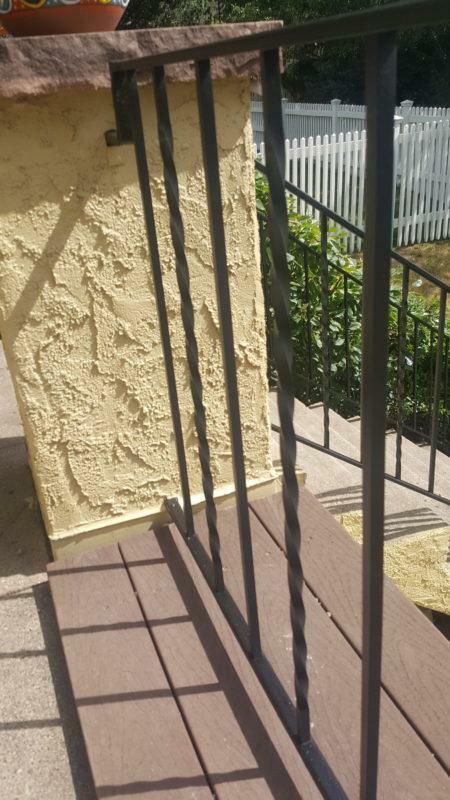 LIME’s Advisor also noticed that the metal railings throughout the house were faded and rusting in areas, so we recommended coating the railings with a premium direct to metal product in a true black to restore the original color and durability of the metal. Boulder’s mix of modern new builds and charming old homes is the perfect combination for LIME’s capabilities. 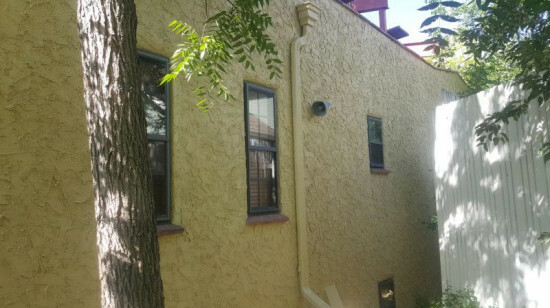 This popular metro city is one of LIME's up-and-coming territories to service.